Our creative consulting studio, Lens Strategy, teamed up with IONIA Behavioral Insights to re-design market assessments for healthcare, reducing the executive’s risk by offering a picture of the market from the customer’s perspective. As much as we like to think we’re rational decision makers, there’s a reason why no soothing metaphor for “trust your data” exists. If anything, we’re told the inverse—to “go with your gut.” Take sport fans preferring to hedge their bets on a Tom Rinaldi-like pre-game story, as opposed to the data-driven analytics of yesteryear. Our modern view of the world around us is increasingly infused with human interest stories, emotional resonance, and shared social experiences. Emotions are not only fuel for our value judgments; they are complex and powerful aspects of reasoning itself. Our purchasing behaviors are no less susceptible to emotional and narrative influence. According to Walker, consider that customer experience will overtake price and product as the key brand differentiator by 2020. This explains the business world’s continuing obsession with the story of the customer as THE driver for business strategy (e.g., the “Re-established” Wells Fargo, Warby Parker direct-to-consumer eye wear with a philanthropic cause, the Nike Equality Campaign), and yet our tools for market assessments in healthcare have not fully evolved to meet this new paradigm. Traditional market assessments do not fully meet business needs, especially in highly variable industries like healthcare. While data-driven analytics have a place in today’s business, market assessments often fall short of providing real insights into human dynamics—causing a chasmal gap between capital and strategic decisions. For instance, many hospitals fail to properly consider patient or provider behaviors, narratives, or emotions as part of their assessments, excluding highly influential insights. Yes, it’s fantastic to have data on children per family in a county, or the median income and disposable income of families with PPO insurance. Yet, what does this tell us about the communities’ perception of a new hospital? Very little. 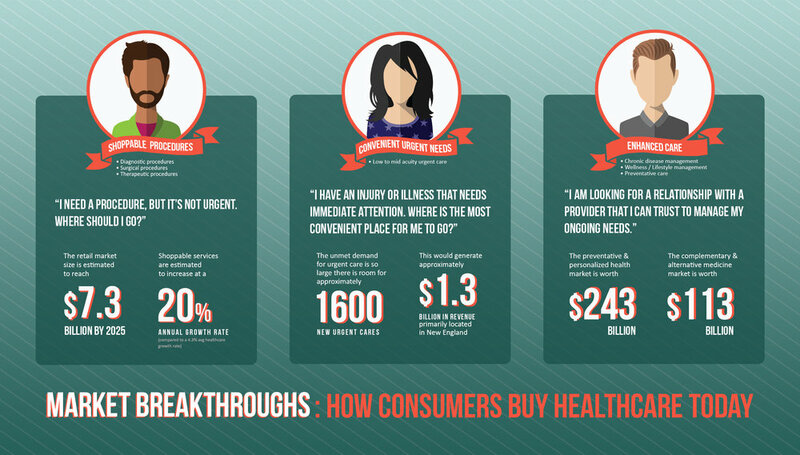 The way consumers purchase healthcare has changed, driven by emotional decisions to buy. A market strategy rooted in human behavior takes stock of those emotions as an opportunity for deeper loyalty and fulfilling outcomes. Without doubt, managing the risk of an investment to build, expand, or change service offerings is best leveraged by an understanding of the behavioral approaches of customers, users, and providers instead of an analytical review of traditional metrics, alone. In fact, discovering the preferences of future patients you’ll serve—instead of esoteric knowledge of their disposable income and insurance mix—is the difference between building a Target, Wal-Mart, or Costco. We know the need is there, but success and failure ultimately reside with human emotions and the desire to shop at a preferred store. Building a Wal-Mart instead of a Costco or Target in the wrong town by omitting the preferences for consumer perceptions is simply short sighted, no matter what the quantitative data tells us about volumes and incomes. Successful, confident, and useful market assessments for health services recognize the same. Vivid market assessments include psychology and breed confident decisions The science behind any assessment should reduce the executive’s risk of playing the human odds of not knowing consumer perception, emotions, and choice. Intuitively, executives have a “you-know-what-I-mean” feeling when they’ve been convinced by an influential, thorough, and complete assessment leveraged upon traditional analytics. In actuality, an executive’s honest reaction to any assessment is an imperfect approximation of subjective business experiences, not logic. Yet, for executives making major decisions, this is their modicum operandi—it’s the only game in town. If market assessments as they exist today aren’t structured to mirror the means by which we arrive at confident decisions, then it’s time for an alternative. We’ve developed an approach that synthesizes traditional metrics, consumer behaviors and preferences, and provider behavior and preferences to construct a thorough and comprehensive decision guide. Our assessments cut through variability to focus on human dynamics, giving our clients an edge—a gut feeling that they are making the right decision with a market breakthrough. With Market BreakthroughsTM, careful curation of multiple consumer perceptions and human indices successfully buttress market analysis with relevant consumer insights. Accepting this as primary, an assessment reaches emotional appeal by gathering data relative to the human narrative, not just historical metrics customary in vital, strategic decisions. 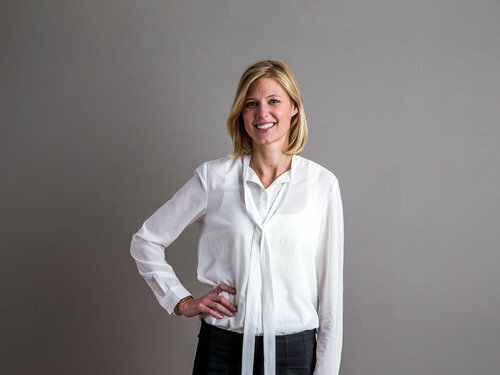 Working at the intersection of design and business, Lauren Janney leads a creative consulting studio, Lens, that excels at driving innovation, consensus and engagement across the front lines of organizations. Her approach to user research is grounded in human-centered design - the foundation for developing meaningful and unique growth strategies. As Principal Strategist of Lens, Lauren has helped clients differentiate through meaningful customer experiences, develop innovative new service lines, and increase collaboration and productivity among multidisciplinary teams. Lauren sits on the Advisory Board for Emergency Medicine at Brigham and Women’s Hospital. She also sits on the Deans Advisory Board at University of Kansas, School of Architecture and Design. She is a core team member of the Lean Construction Institute’s New England chapter and has hiked up Mount Washington seven times in the New England winter. Amanda helps institutions discover uncommon opportunities and make informed decisions based on rigorously collected, reliably designed information. Her capabilities bridge the disciplines of user research, data analytics, and design strategy to ensure that qualitative and quantitative insights are firmly embedded in operationalized concepts. 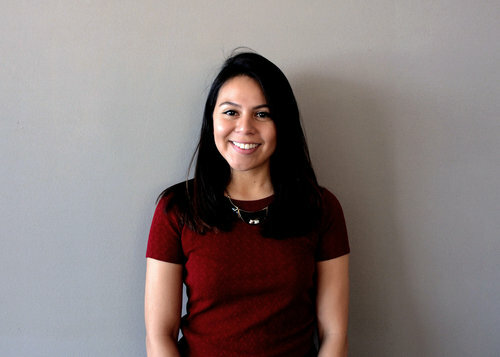 Karina specializes in illustrating ideas using engaging visual communication designed to connect with a specific audience. 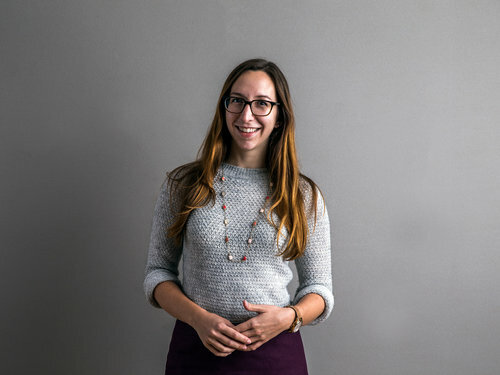 With a background in both design and advertising, Karina uses her skills to tell memorable stories that accentuate brand presence and communicate with intention. The creative collateral she creates ranges from infographics, logos, and posters to interactive media including motions graphics, videos, websites and more.